On this page are available some educational materials for teaching about other aspects of primitive technology. Currently there are only a small number available representing shell and bone work as well as basketry. Please directly CONTACT US or use this Special Request Form (pdf) to obtain a quote for the replication of any other tools or displays you might be interested in. Dr. "Arizona" is more than willing to work with you. A bag of several broken bone tool fragments for demonstration, sandbox dig, or display use. 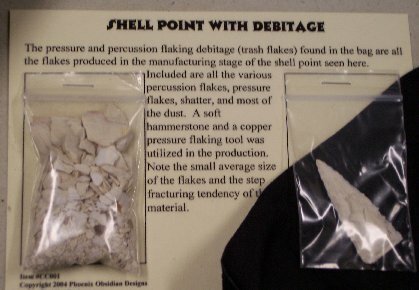 These are bags of the debitage from making the various shell tools listed below. Comes on a reproducible laminated educational sheet along with the finished product. 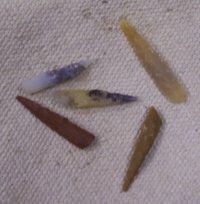 This display shows the various reduction steps involved in producing a shell fishhook. This display shows the various stages involved in producing a curved fishhook from a deer foot bone. 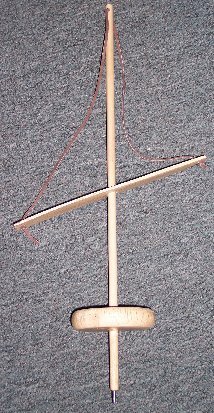 This display shows the two basic techniques to make baskets - coiling and twining. Includes text, illustrations, actual examples of starts, as well as samples of common basketry materials. This display contains samples of common basketry materials.